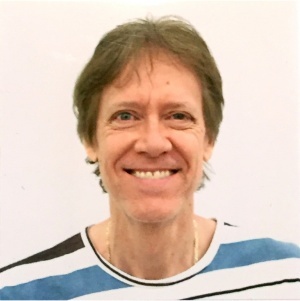 De Hilster has been involved with the John Chappell Natural Philosophy Society (CNPS) (formerly the NPA) for over two decades acting as webmaster, conference director, and now president of the non-profit organization. He also helped found the Society for the Advancement of Autodynamics, founded in 1994, promoting the work of Dr. Ricardo Carezani. He is also co-founder of the Natural Philosophy Database and the Natural Philosophy Wiki. De Hilster also produced and directed the feature-length documentary film Einstein Wrong - The Miracle Year starting filming in the year 2005, completing 2014. In May 2017, David started the [Dissident Science YouTube Channel] where he has almost 3000 subscribers world-wide. David de Hilster was born in Ann Arbor Michigan on Friday, November 13th, 1959 to Robert and Patricia de Hilster while Robert was studying physics at the University of Michigan. David grew up in Galion Ohio and in 1970 at the age of 10, moved to Worthington Ohio where he attended middle school and high school during which he played trumpet and majored in seven subject areas. In 1977, he attended The Ohio State University majoring in Architecture where he was the top student in his class. In 1980, de Hilster studied at New College Oxford England during the summer and having dated a Brazilian in the United States before the trip, went to Rio de Janeiro where he fell in love with the culture and music. Later in 1980, de Hilster contracted a rare intestinal disease coming within hours from dying which changed his outlook and direction direction in life. David began to "live more" while still managing a heavy work and study level switching his major to mathematics. David also enrolled in a Portuguese class where he met a linguistics professor who persuaded him to enter the linguistics department to study human language and computers. While teaching undergraduate linguistics and earning his masters degree, David began working in the artificial intelligence lab at Battelle Memorial Institute using Xero 1108 Lisp machines writing computer programs to understand written language. After graduating from Ohio State University with a Master of Arts in Linguistics, David was hired into the AI department to work on a natural language interface to databases using the language "c". David currently resides in Boca Raton Florida with his wife Doris de Hilster who is a clothes designer and owner of a costume and alterations store in Pompano Beach Florida. He has one child Luanda (2005) with Doris.